0 BRATANA Opens for UDO in Hollywood! HOLLYWOOD, CA – Emerging Los Angeles area rock group BRATANA, is opening for the legendary heavy metal singer UDO DIRKSCHNEIDER, who rose to fame with German heavy metal band ACCEPT, January 23rd, at the Whisky A Go Go. BIOHAZARD lead throat BILLY GRAZIADEI has recruiting some heavy hitters for BRATANA’s new project ROCKIN’ ADDICTION, produced at his Los Angeles based Firewater Studios. 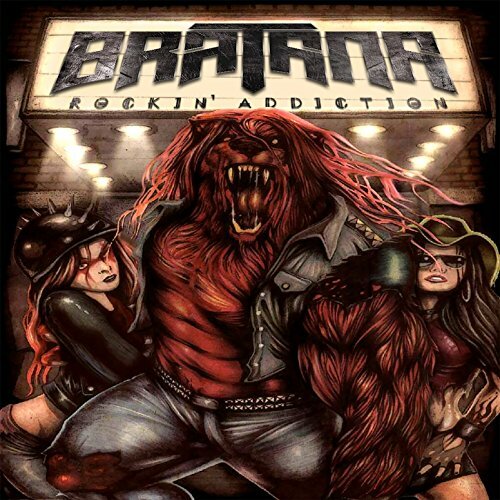 The album showcases emerging rock group BRATANA, featuring new comer VAL LAPIN, with artists such as SEN DOG of CYPRESS HILL, and RA DIAZ from SUICIDAL TENDENCIES lending their talent. GRAZIADEI also plays guitar on several tracks. BRATANA’s new album releases the same night of the concert, and will be available online and mobile world wide via 13 Music/DSN Music.